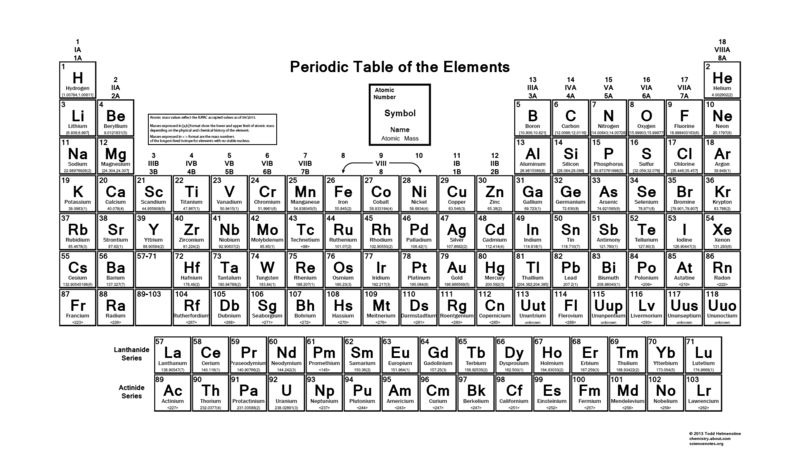 This color periodic table contains the atomic number, symbol and name of each element. It also contains the current IUPAC accepted values for atomic mass of each element. This table lists the most significant figures available. This table is available for download as a PDF file. For best printing, choose Landscape and ‘Fit’ for your size option. The above image can be used as a widescreen (1920×1080) desktop wallpaper for your computer. Click the image for full size and save. This periodic table is also available in color with a black background for a darker theme. It is also available in color with a white background for better printing. This IUPAC periodic table is one of the most popular tables on the site. If you like it, you may be interested in other reader favorite periodic tables. If you need a specific table, but don’t see it, let us know and we’ll add it!